My name is Stasha Eriksen, I have been working as an avid researcher, teacher and recently taken up the role as an author to many "controversial topics". During this process, I was presented to one of the most life-shaking revelations that I had ever encountered in my many years of researching science, religion and spirituality. This phenomenon is known as the "Mandela Effect". There are countless theories of what is causing this ripple effect of past, present and even future events, that may have even been sparked by the technology undertaken at CERN and by numerous underground scientific and military testing facilities, that integrate D-Wave (A.I. or Artificial Intelligence) quantum computers that can literally rip holes into time and space and change life as we know it as humans. Think Time Travel Coming to LIFE! 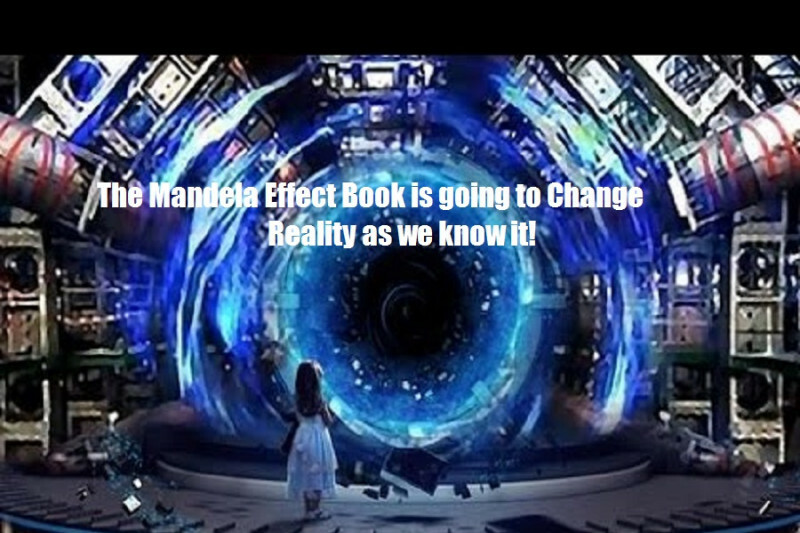 I have been called to complete a highly important research book about the #Mandela Effect ASAP, out of the amount of data that has been sent and collected by myself since I became aware if this effect. The evidence is piling up and the effects are happening so rapidly, that I am afraid if I do not take the time to finish this project than people may forget their memories and the effect will have spread further than we can even catch up ourselves. I have learned that the Mandela Effect as a theory, has been attacked heavily, especially as of late. This proves to me that there is something they want to stop us from discovering. If you have researched or been effected by this effect, please consider donating to the completion of this book. To lighten things up, and for those of you who have never heard of the Mandela Effect at ALL, yet you were guided to this page, here are a collection of videos that I have posted below to give you an overview of the effect and its validity. When I complete Volume 1 of the research, I will shortly be releasing volumes 2 & 3 with your help and support! More than anything, I hope to help gently awaken the world to the deeper truths that life are TRULY about. I look forward to completing this never-ending research into the best and most balanced compilation that I can possibly compile. I welcome all of your comments, feedback and help! I will be adding frequent updates to the campaign via the update secion of this campaign, which will include personal Video updates, new rewards, and more! Hey guys! The final set of books for all who donated have arrived! Here is a video update for all of my donors!! The Mandela Effect Books have finally arrived in my mailbox! I have some amazing announcements and thanks for all of you in the Mandela Effect Community as well! Thank you all for your love and support! The Mandela Effect Books have arrived! You did wonderful on the first book. I’m looking forward to the second one! Thanks for your hard work, and good luck with the psychology course. On this exciting day of the Volume 1 digital release, I felt the need to contribute towards Vol. II and help you break the $1k Mark! Thank you for your continued work on this project and helping to safeguard our memories! I cannot wait to hold a copy of the book(s) in my hands and take a wild trip down memory lane. Which to get, digital or Paper? What a DILEMNA! Maybe a nice hardcover option.....? I also love the News we NEED to know and your passion that you share with us on everything you do!